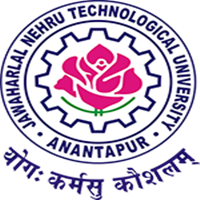 JNTUA Faculty Recruitment for Professors: Applications are invited in the prescribed format for regular vacancies for the posts of Professors (10 Nos.) 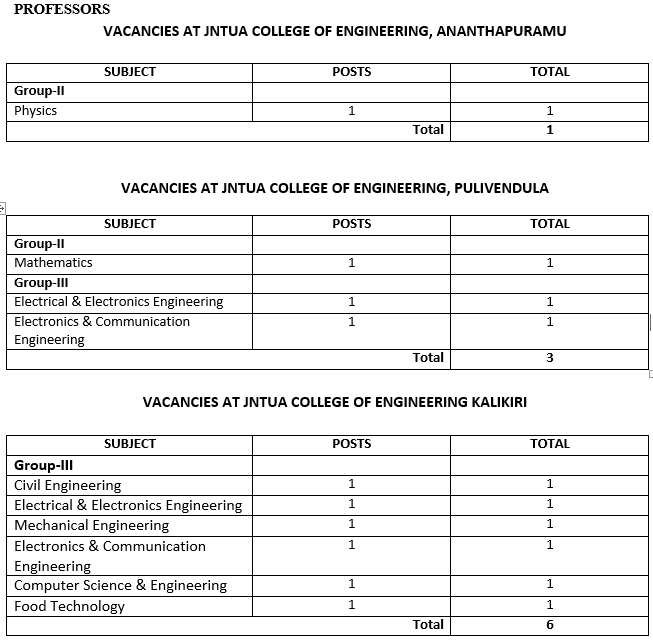 in different disciplines of the University of JNTUA, Ananthapuramu (JNTUA CEA, CEP & CEK). For the full information like Application format, vacancy position, instructions and guidelines etc. can be had from JNTUA Website www.jntua.ac.in. The filled in application forms in all respects should reach the Registrar, JNTU ANANTAPUR, ANANTHAPURAMU-515002 on or before 23.11.2017 by 5 PM. Applications in the prescribed format are invited for the following Posts in the University so as to reach the Registrar of the University on or before 23.11.2017 by 5 PM. Qualification & Experience: As mentioned in the JNTUA Website. The prescribed application form and information to candidates can be downloaded from JNTUA Website (www.jntua.ac.in). The duly filled in application form together with attested copies of certificates and a Demand Draft for Rs.1000/- (Rupees One thousand only) (in case of SC/ST candidates the fee is Rs.500/- (Rupees Five Hundred only)) towards Registration fee drawn not earlier than 23.10.2017 on any Nationalized Banks in favour of the Registrar, JNTUA, Ananthapuramu payable at Ananthapuramu should reach the Registrar, JNT University Anantapur, Ananthapuramu–515002 on or before 23.11.2017 by 5 PM. The University will not be responsible for any loss or delay in transit of the applications sent by the candidates. The University reserves itself the right to increase or decrease the number of posts, not to fill up any or all the above posts. 1. Those who wants to apply for more than one post through this advertisement should submit filled in application separately for each post along with the prescribed fee for each post. 2. All other conditions, viz., relaxation in age, marks etc., will be applicable as per G.O.Ms.No.38, Higher Education (UE) Department, dated 23.06.2016.